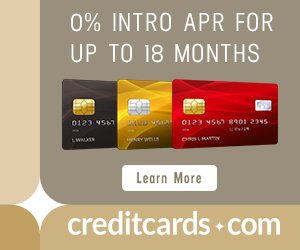 According to themiddlemarket.com, the US Airways MasterCard from Barclaycard will accept applications through early 2015. Then, for existing cardholders, the card will become an American Airlines co-branded card. At that point, there will be two banks servicing American Airlines co-branded cards, Barclaycard and Citi, but only Citi will be able to issue new American Airlines co-branded cards once the Dividend Miles and AAdvantage programs have merged. What did I get right about the demise of the US Airways MasterCard? (Not much.) What did I get wrong? (A lot.) How can you earn maximum new American Airlines miles from credit cards in the next year and a half? I had previously predicted that the US Airways MasterCard would no longer accept new applications in the coming weeks. That appears wrong; applications for the US Airways MasterCard should be accepted through mid-2015. “We have a unique opportunity before the brands merge for us to go out there and continue to acquire new card members for the US Airways Dividend Miles program,” [managing director of Barclaycard co-brand partnerships] Nealon says. 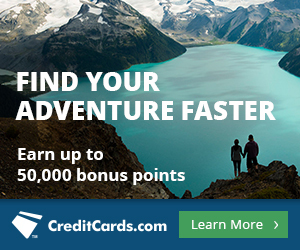 Big Sign Up Bonuses on US Airways Card to Come? We might even see some juicy sign up bonuses on the US Airways card between now and then, since Barclaycard knows it is their last chance to get people to open a US Airways/American Airlines card. “Our goal over the period between merger and frequent flier program integration is absolutely to maximize the number of new cardholders that we can bring in,” [Nealon] adds. I had previously predicted that US Airways card accounts would be converted to Barclaycard Arrival(TM) World MasterCard® – Earn 2x on All Purchases accounts. That appears wrong. Existing US Airways card accounts will be converted to a Barclaycard American Airlines account when the AAdvantage and Dividend Miles programs combine. I certainly have not heard any suggestion prior to this email that Barclaycard would be involved with the New American “beyond” merger integration. If Barclaycard really means that–the sentence is vague–I’m not sure what it could mean. Are we 100% sure that Citi and Barclaycard won’t both offer American Airlines cards after the integration? Or should we not take the line about working with the New American beyond the merger integration at face value? Barclaycard will convert its US Airways cards to American Airlines cards, but it will not be able to issue new American Airlines cards to new customers. There will be no application for the Barclaycard American Airlines card. Only Citi will have the right to issue American Airlines cards, which is also currently the case. Following the planned integration of the AAdvantage and US Airways Dividend Miles frequent flier loyalty programs by mid-2015, Citi will exclusively issue new credit card accounts in support of the combined American frequent flier program, John Gerspach, the chief financial officer of New York-based Citi, said during a Jan. 16 investor call to discuss fourth quarter 2013 earnings. The sound advice is still to get the US Airways MasterCard before it disappears. For now, we have a tentative date of mid-2015. We’ll surely get a firm date in the coming months. Before I would have prioritized getting this card over other Barclaycards because I thought it was disappearing much sooner. But now, if you prefer the Barclaycard Arrival(TM) World MasterCard® – Earn 2x on All Purchases with 40,000 bonus miles after spending $1k in the first three month or The Frontier Airlines World MasterCard® with 40,000 bonus miles after spending $500 in the first 90 days, you can get one of those first and the US Airways card later. There’s no change in strategy toward the Citi American Airlines card. It sounds like there are no plans for it to change going forward. Have people had any luck getting multiple arrival cards or churning the card? Haven’t seen any successful reports. I wonder if this means that AA and US air miles will not combine until 2015. I think it means US Airways miles won’t be forcibly converted to AA miles until then. I would love if the two types were freely transferable before then a la United and Continental during their integration. That would mean we could take advantage of both award charts on a case-by-case basis. If I get the US Air Barclay’s and the Citi AA now, would I be eligible for a new Citi AA post merger? Or would they likely keep the same product? No info on that yet. This makes think they will not create a new product, but that would be nice. Nice news. I just cancelled my Premiere World back in November, so I should have time to get it one more time. If I have both the Arrival and US Airways MasterCard, should I cancel the latter now and wait for a bit then to churn it? If yes, do you know how much time should I wait? I don’t have a definitive answer. Having it closed for one year would be a good test. I got the Barclay Lufthansa card (surprisingly) and my wife (who’s credit is perfect) did not because She signed up for the US Airways card earlier. They told her that she had enough credit on the US Airways card and refused her application. As soon as I get my 40k (she has her bonus miles for US Airways), I feel like canceling both cards.